Although our mobile devices seem to offer an endless list of great features and perks that, even some five or so years ago, we could only have dreamed about, there remains a great deal that our much-lauded smartphones and tablets simply aren’t capable of. Now thermal imaging isn’t something that consumers are necessarily crying out for, but as anybody else who played Splinter Cell will be able to vouch, having such abilities in real life would be pretty darned cool. 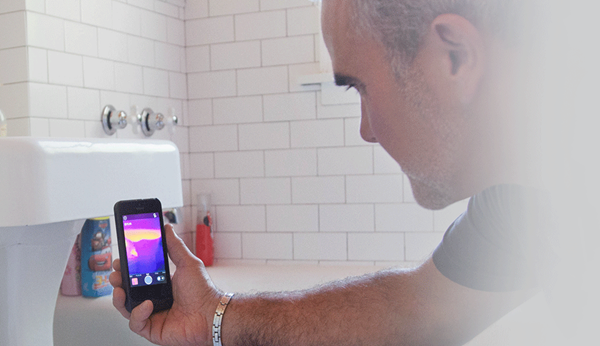 Thanks to one company, iPhone users will soon be able to experience thermal imaging by attaching a contraption known as a FLIR, or forward-looking infra-red device, to the back, and on first glance, we’re certainly impressed. 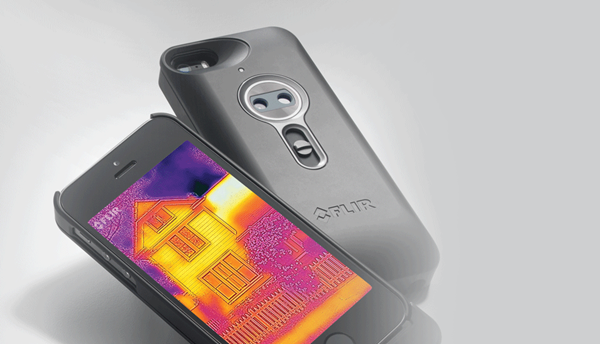 The technology contained within the peripheral, known as the FLIR One, allows the iPhone to show up visible heat, and having already been showcased at CES earlier on in the year, is now looking fairly ready for prime time. There’s no doubting that the product is incredibly cool, but like new technology with such alluring qualities, it does have its fair share of drawbacks. Notably, it weighs 3.9 ounces, which will essentially double up the weight and bulk of your currently pocketable iPhone 5s, but while the fashion-conscious may baulk at any notion of lugging such a monstrosity around, we also suspect that the ardent geeks will be too fascinated to worry about such minor details. 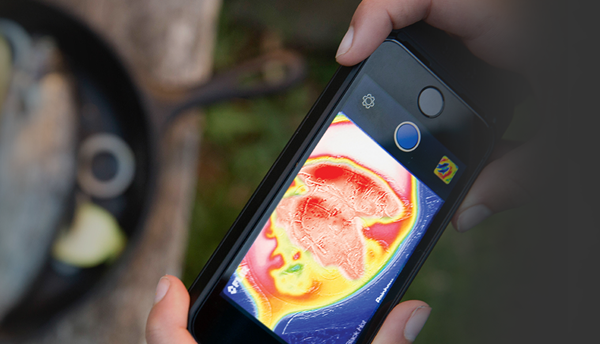 FLIR Systems, the group behind the product, envision a world where users will share their thermal imaging creations on social networking sites. Sure, I can see where they’re coming from, but I also suspect that the novelty may wear off quite quickly as far as consumers are concerned. Unfortunately, if you want to take on the role of Sam Fisher any time soon, it’s going to cost quite a bit. The FLIR One will retail at a whopping $349 in August for those pre-ordering, so while we’d definitely welcome the opportunity to try this product out for a day, we probably wouldn’t invest such a hefty sum on an equally sizeable product. Still, having caught a glimpse of what the FLIR One is capable of, would you be tempted to stump up the cash? Be sure, as ever, to leave your thoughts and comments down below!